Kids Playroom With Light Furniture Decor Playground And Toys On The Floor Carpet Decorating Flat Style Cartoon Comfortable Interior Vector Illustration. Royalty Free Klipartlar, Vektör Çizimler Ve Stok Çizim. Image 72789138. Stok Fotoğraf - Kids playroom with light furniture decor playground and toys on the floor carpet decorating flat style cartoon comfortable interior vector illustration. 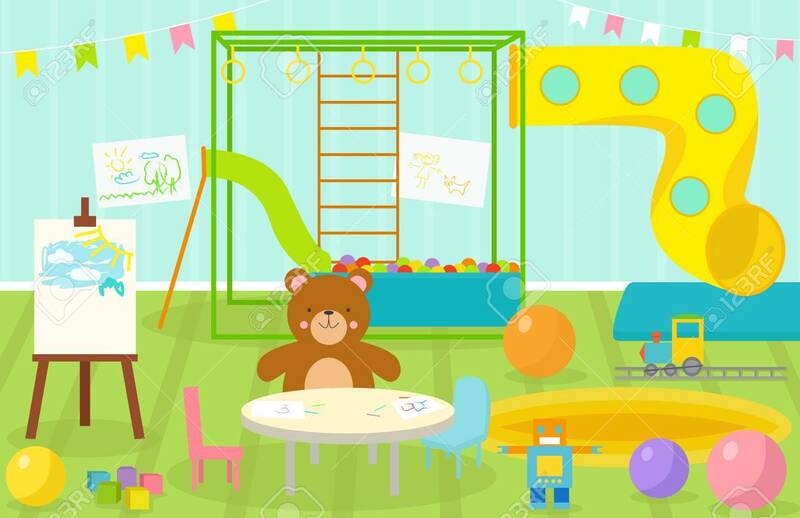 Kids playroom with light furniture decor playground and toys on the floor carpet decorating flat style cartoon comfortable interior vector illustration.